We’ve all had those restless nights of tossing and turning, staring at the ceiling, unable to get more than a couple hours of shuteye. The more you worry about not sleeping, the more your mind races, and next thing you know, the sun is peeking through the window. I’ve spent one too many nights this way and needed to put an end to my poor sleeping patterns. 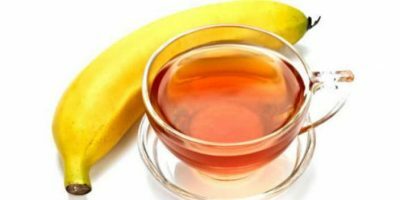 I came across this delicious tea recipe and it improved my cycle completely. Irregular sleeping patterns or even insomnia can stem from several different things like depression, stress and anxiety. Almost every night, I would get into bed and my mind would be racing. Whether I was thinking about work, family, or simply the things I needed to get done the next day, I just couldn’t allow myself to relax. If your mind is active, chances are you won’t fall asleep. Certain medications can also cause insomnia. Pain medications, antihistamines, and heart and blood pressure medicines are among the many that contribute to sleep loss. Yes, some meds might actually make you drowsy at first, but they can also trigger frequent bathroom trips or anxiety which can further disturb your rest. Whether it’s one of these issues or maybe it’s that you’re addicted to your phone when you should be sleeping, something needs to change. Using only a couple items that are likely already in your kitchen, you can whip together a banana tea in no time! This organic, banana-infused sleep remedy works wonders and tastes so good. How does it work? Bananas, especially the peels, are loaded with potassium and magnesium. While magnesium helps prevent sleep disturbances, both magnesium and potassium work together to help relax muscles. In fact, magnesium is one of the best minerals for relaxation! Keep in mind, this recipe calls for 100% organic bananas. Bananas that are not organic are loaded with harmful pesticides and since we encourage you to eat the boiled peel, it must be chemical-free. This tea takes less than 10 minutes to prepare and can be enjoyed every night before bed. All you need to do is cut off both ends of the banana and place it, peel and all, into boiling water. Boil it for around 10 minutes. Using a colander, pour the water into a mug. If you’re feeling adventurous, sprinkle the cinnamon into the tea. Drink it one hour before bed time. If you’re worried about being wasteful, you’ve clearly never had a boiled banana before! After the banana has been boiled, sprinkle some cinnamon over it. Eating the warm, gooey fruit and its peel along with the tea will increase its soothing effects… Not to mention it makes a yummy dessert! Out of despair, many of us have resorted to sleeping pills and with almost half of the American population suffering from insomnia or poor sleep, it’s no wonder. But here’s the thing: sleeping pills cannot help you long-term. They provide a short-term fix. The majority of sleeping pills are a specific type of drug that induces and maintains sleep. They’re classified as something called sedative hypnotics. Among other sedative hypnotic drugs are benzodiazepines and barbiturates. Benzodiazepines—like Xanax and Valium—can be addictive and are used to treat anxiety disorders by increasing drowsiness. Barbiturates depress the central nervous system are used as anesthetics and sedatives. Sleeping pills also cause your breathing rhythm to slow down and significantly lighten. This means that if you’re already suffering from lung diseases like COPD or even asthma, these meds can be dangerous and even fatal. Getting less than eight hours of sleep is bad for your body. When I found out the consequences little to no sleep had on my body, I panicked! When your body doesn’t get enough rest, generally less than eight hours, it suffers. Cognitive function—your long- and short-term memory—is seriously affected. Have you ever tried to focus on a task while running on zero fuel? I have and I know it’s near impossible. Processing even the simplest things seems challenging and your emotional responses to things become totally skewed. The scariest part is that sleep deprivation has been linked to serious health problems including obesity, diabetes and cancer. It’s important to figure out why you’re not sleeping the way you used to and work on fixing it. I now look forward to this tea each night; it’s 100% natural, it smells and tastes great, and it has worked tremendously for me. Previous article“None of the 20 Mammograms Caught My Disease…” Popular Breast Cancer Screening Method is Dangerous and Ineffective. THIS Proven and Safe Method Can Save Thousands of Lives.